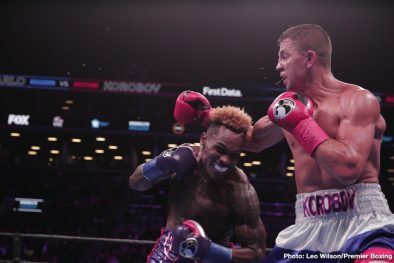 Jermall Charlo had a tougher time than expected in beating 2008 Olympian Matt Korobov by a 12 round unanimous decision on Saturday night at the Barclays Center in Brooklyn, New York. 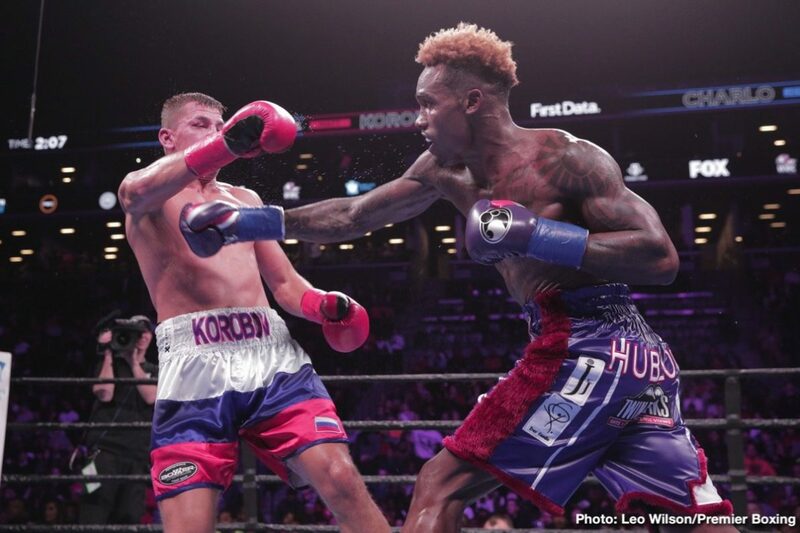 Charlo vs. Korobov was the headliner on Premier Boxing Champions on FOX. It was an entertaining fight, but the results were questionable at best. 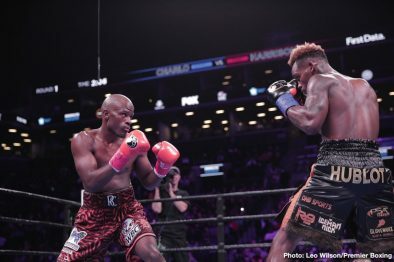 Charlo (28-0, 21 KOs) retained his interim WBC middleweight title with his win. 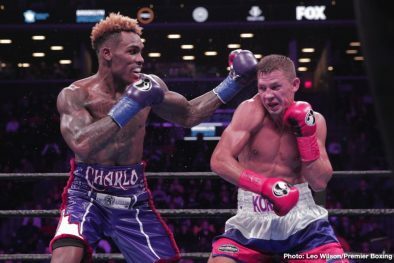 Charlo did come close stopping Korobov in the 12th round after hurting him with a left hand, but he failed to get him out of there. 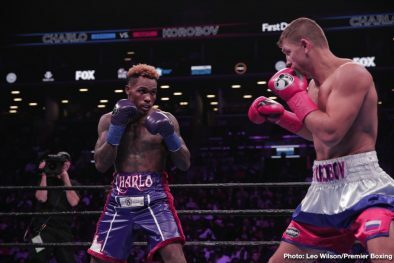 It took Charlo six rounds to get comfortable the southpaw Korobov’s stance. 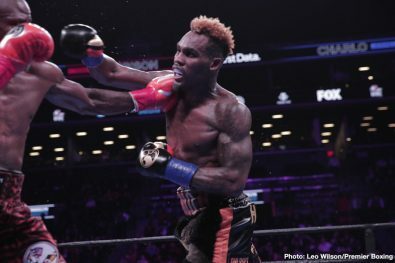 During those six rounds, Charlo was getting worked over and made to look bad. 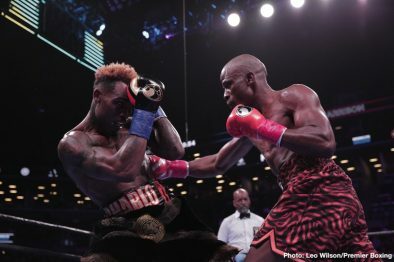 In the real sense, Charlo came close to winning none of those rounds, but not with 3 judges that were assigned to the fight. They saw a different fight from many of the boxing fans. 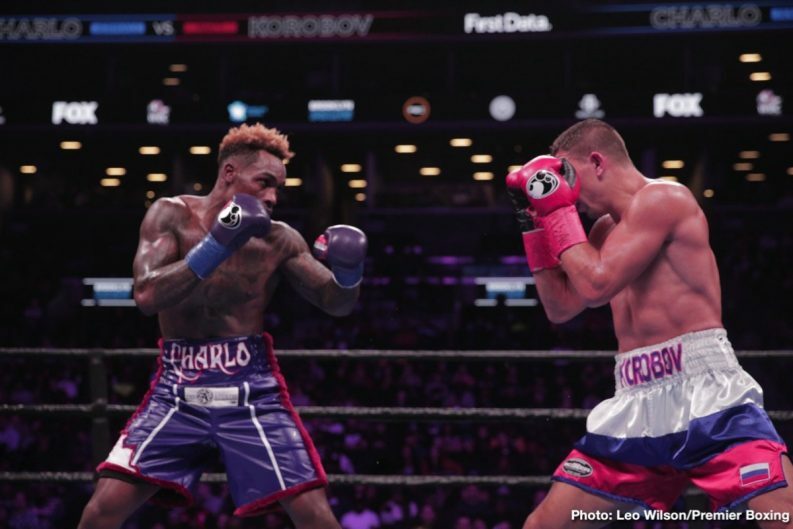 By the time Charlo started feeling comfortable with Korobov’s style, it was the eighth round and he appeared to be deeply behind in the fight and in need of knockdowns or a knockout to win. 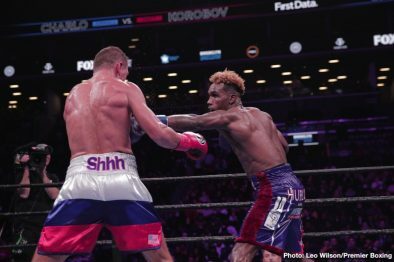 Again, the judges saw the fight differently, and were giving Charlo many of those rounds, and ignoring all the left hands he was taking repeatedly from Korobov. 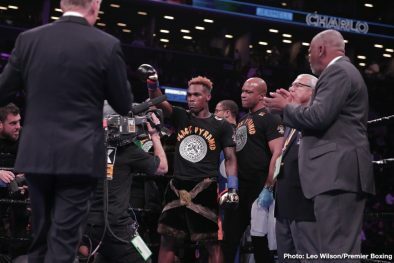 While Charlo’s twin brother WBC junior middleweight champion Jermell Charlo was upset by Tony Harrison by a 12 round unanimous decision in the co-feature bout, Jermall was fortunate to get the nod in the main event against the 35-year-old Korobov (28-2, 14 KOs). There was a set arguably very generous scores given to Jermall that he clearly didn’t deserve. This is boxing though. 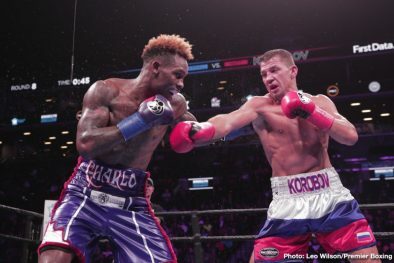 Charlo was the A-side of the equation, and Korobov was brought in as just a replacement. 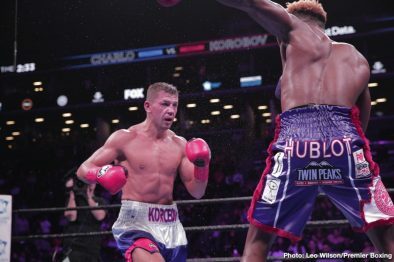 It was always going to be next to impossible for Korobov to get the in no matter what he did. The judges score it 119-109, 116-112 and 116-112. 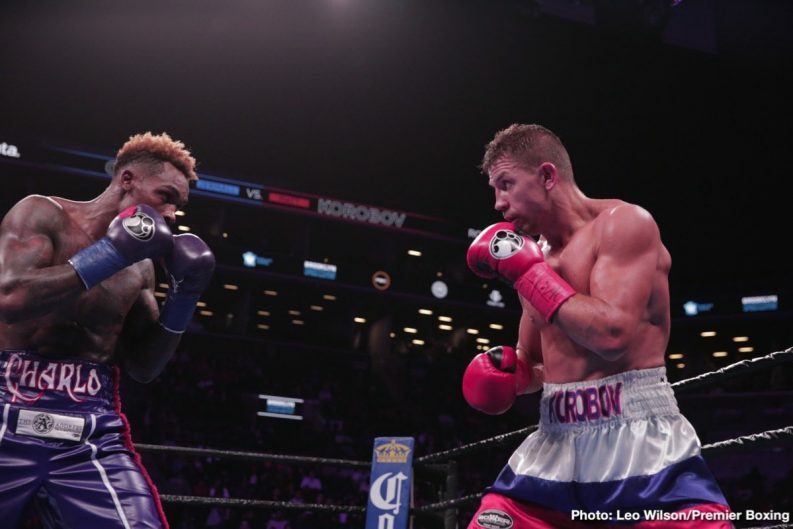 Boxing 247 saw it was a victory for Korobov by eight rounds to four. 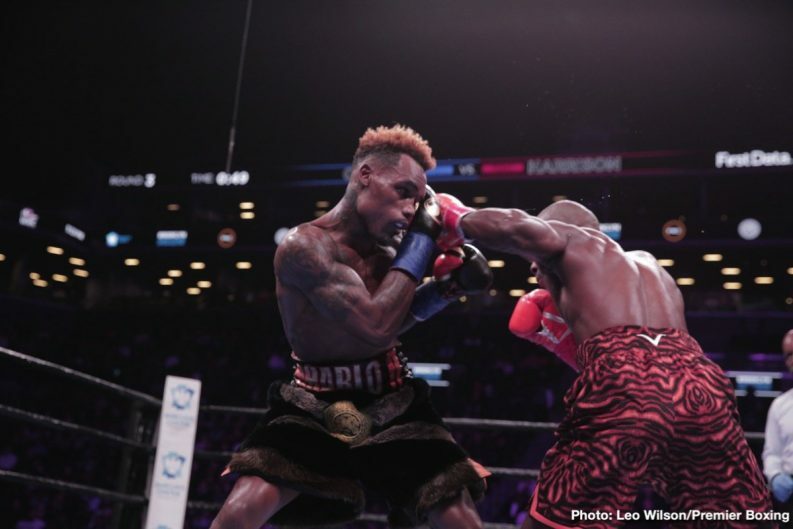 Charlo did not prove that he was the better fighter tonight in this writer’s opinion. 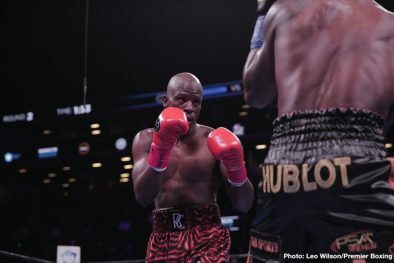 After the fight, Jermall appeared to be in denial about how badly he had performed against Korobov. “I had a really tough opponent, but he wasn’t better than me. 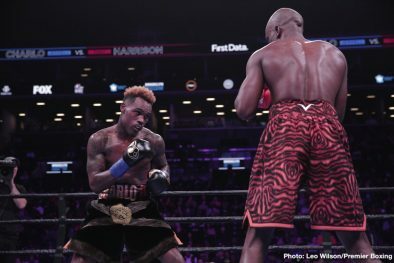 There was a lot on my mind in the ring,” Jermall said. Korobov fought well enough to give Jermall fits tonight. 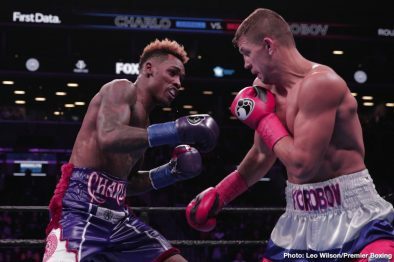 Charlo can say Korobov wasn’t as good as him, but he fought well enough to deserve the win in the view of a lot of boxing fans. 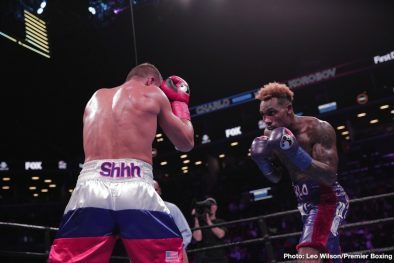 That’s a sign that Charlo isn’t as good as he thinks he is in comparison to Korobov. 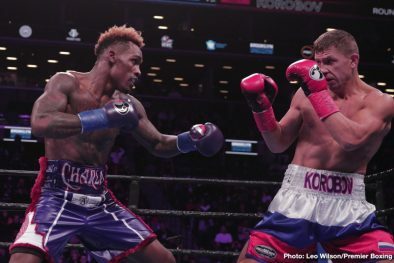 Charlo has an excuse for not doing well against Korobov tonight. He only had a week to train for the Russian southpaw, and that wasn’t enough time for him to even get slightly comfortable. 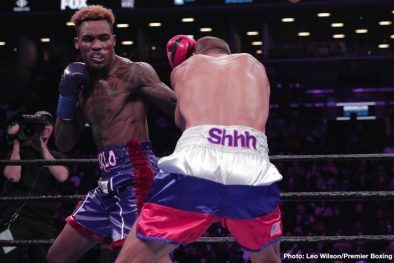 Charlo fought like someone that had never faced a southpaw tonight. He looked clumsy out of his element. 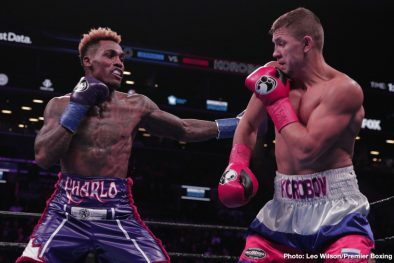 It wasn’t until the later rounds where Korobov started to fade that Charlo came on and looked less confused. He still looked lost, but he was less so. 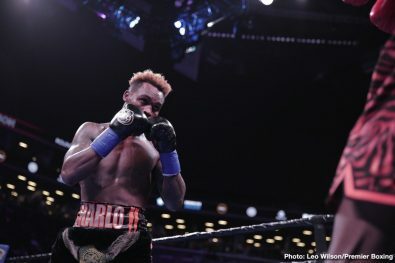 Charlo was supposed to face Willie Monroe Jr., but he tested positive for a banned substance and had to pull out of the fight. Korobov was brought in, and had move down from super middleweight to 160 in five days to make weight. Korobov is a light heavyweight, so he was always going to have problems with the weight loss. 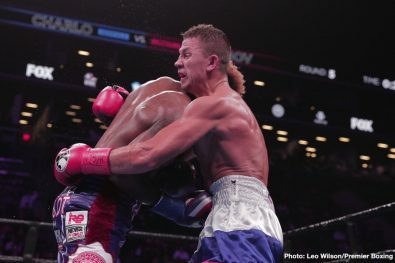 Korobov’s original fight on the undercard was for eight rounds. He didn’t train for a 12 round fight, and clearly didn’t train for a fight at 160. 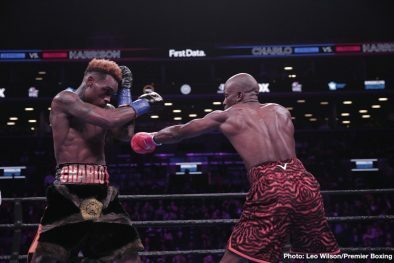 Charlo landed 170 of 654 shots for a 26% connect percentage, according to CompuBox. Kovalev connected on 128 of 457 for a connect percentage of 28. 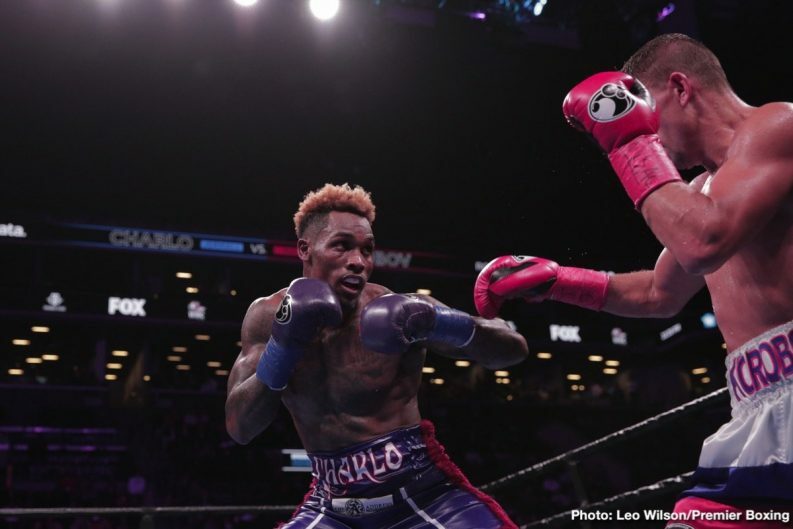 The fight showed that Charlo has a long ways to go before he’s on the same level as Saul Canelo Alvarez and Gennady Golovkin. If GGG take the fight with Charlo next, like the WBC wants him to, he’ll have a good chance of beating him. 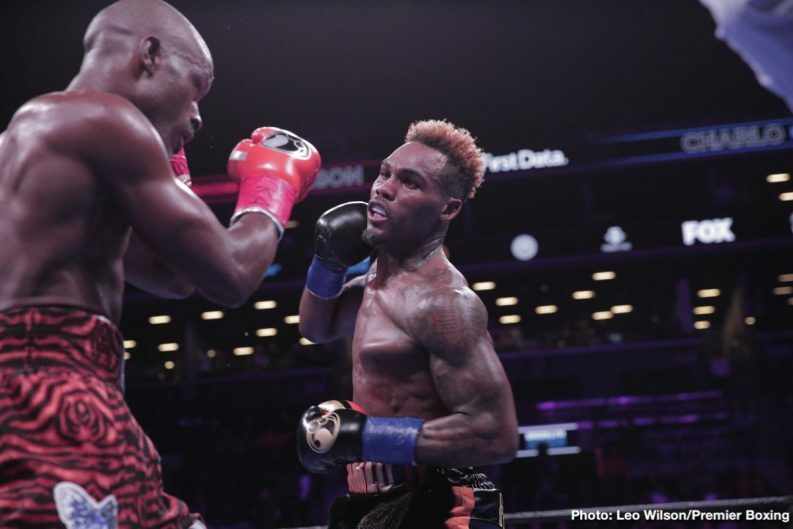 Charlo needs more work before he faces the true lions of the middleweight division in this writer’s opinion. 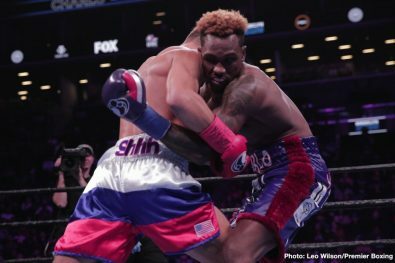 Previous boxing news: RESULTS: Dillian Whyte Scores Brutal 11th-Round KO Over Chisora In War!